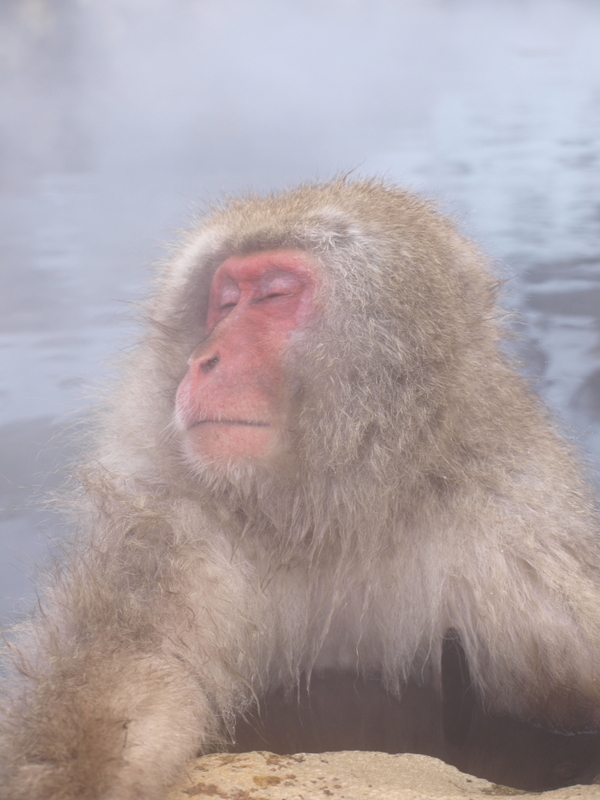 Those of you who know me know that I had a few key thigns for this trip to Japan: celebrating new Year with Masato and his folks… seeing my favourite Japanese band, Boris… going to see Sumo… visiting Ghibli and seeing the Totoro exhibition… and visiting Snow Monkeys. 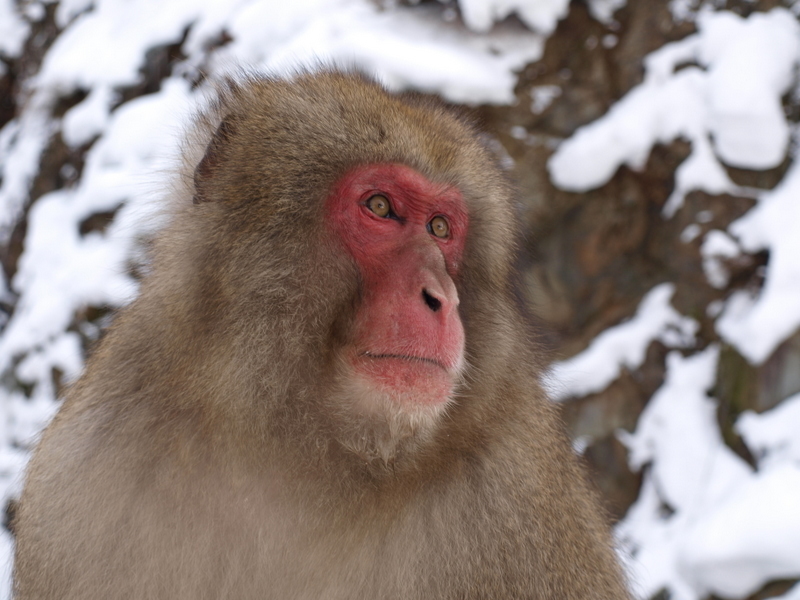 Well, the day had come to check the snow monkeys off the list. I was pretty excited I must say. First thing I did when I arrived in Nagano was get the info on getting to the park. Seemed easy enough… jump on a bus then a 40 minute walk. So at 10am this morning I did just that. The bus ride was nothing spectacular. We got out of the city and in to the mountains and I was dropped off at what seemed like some outpost with not much happening. The friendly bus driver pointed in a direction, so off I walked, following the odd sign. 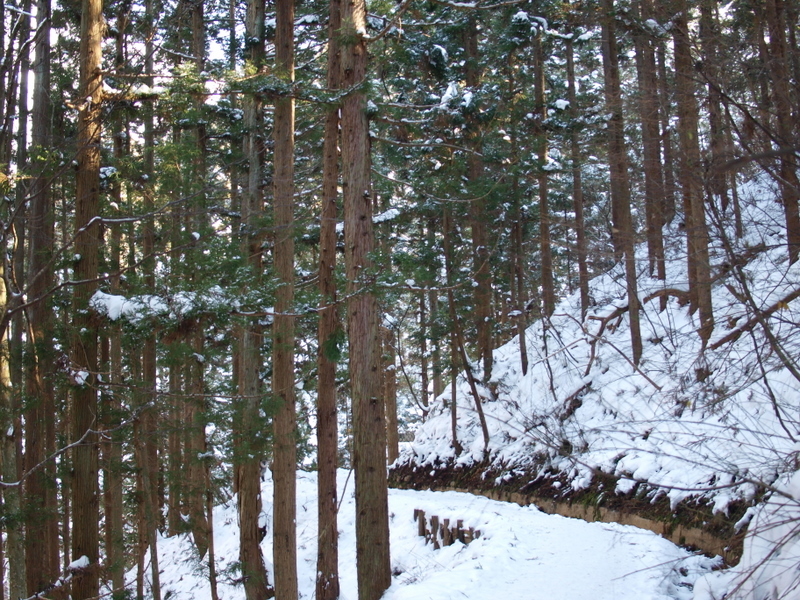 After about 10 minutes of walking on roads I entered a small track that led into the snow covered mountain, and for the next 30 minutes walked along a gorgeous path in the woods, being careful not to slip. Every twist and turn on the path was another snow covered gem. Every now and then I would hear a noise thinking it would be some animal, but it was only ever snow falling from the trees. Konnichiwa! 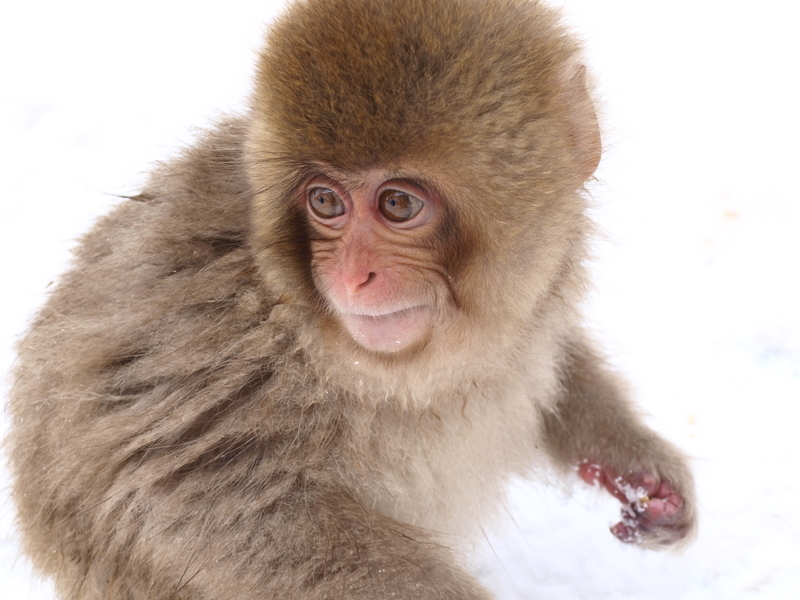 I’m a Snow Monkey! 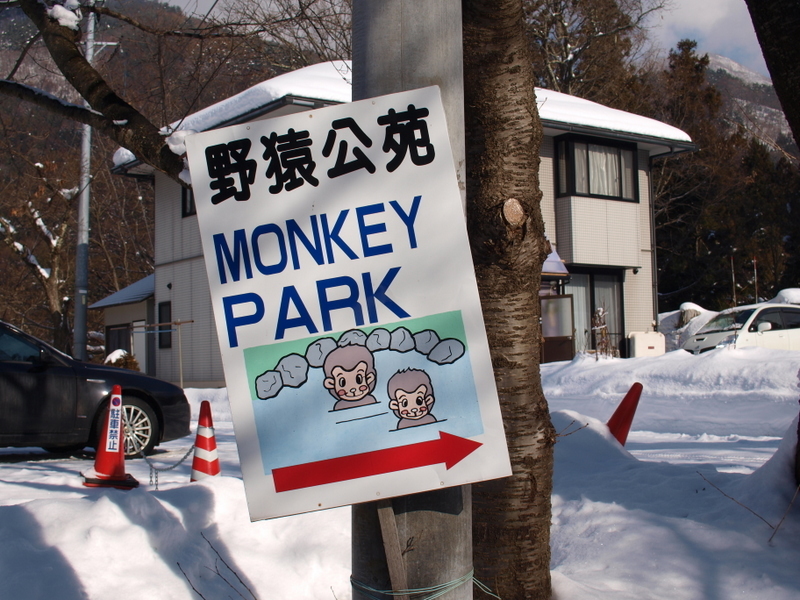 It was then I reached the monkey park proper. Paying my 500 yen I wandered in and up another path. 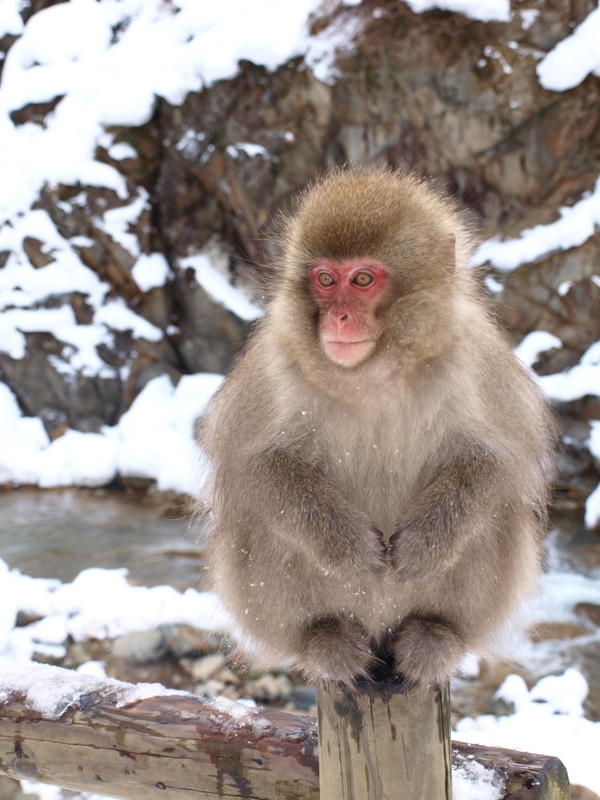 My jaw dropped… snow monkey! Right on the path! 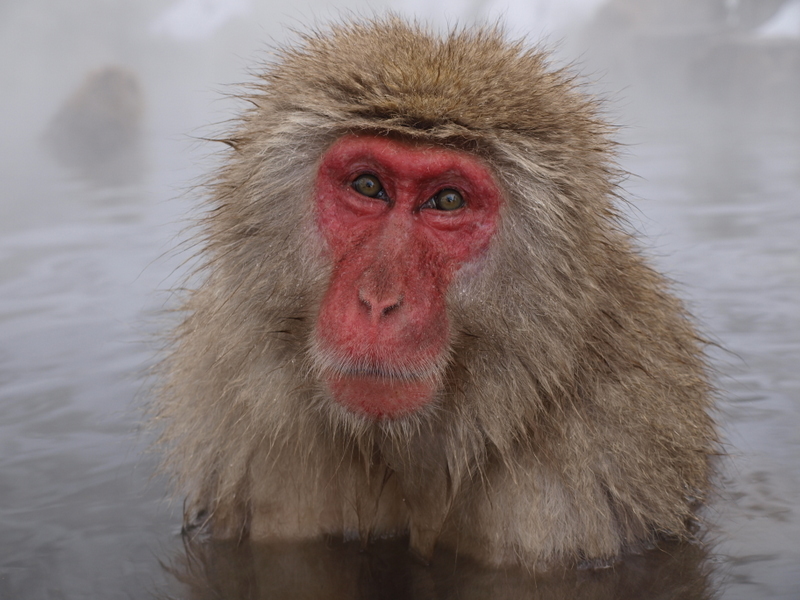 Just staring at me as if to say “yeah, I’m a snow monkey… what about it?”. Of course I starting crazily snapping photos. I was giddy. Any fear this would turn out to be disappointing disappeared. 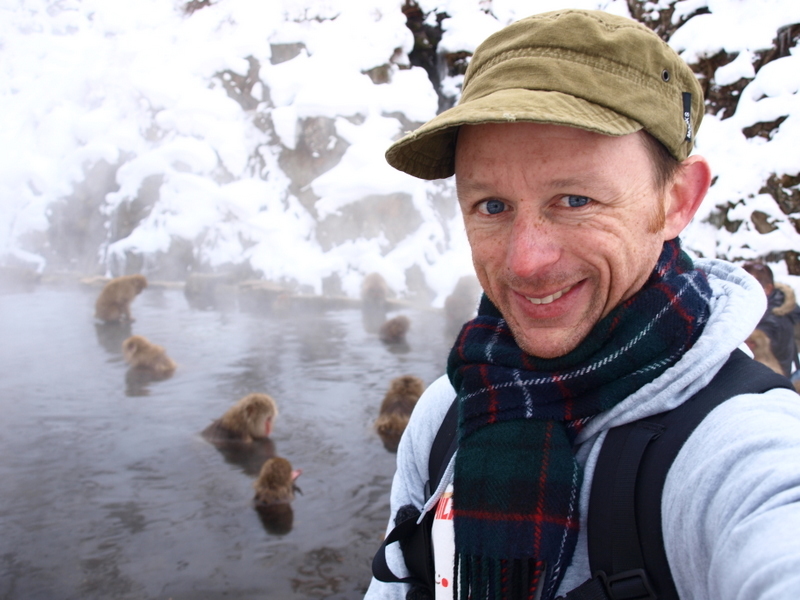 Following the short path I came to the famed hot pool and yep, about 20 monkeys in there just chilling out. Others were hanging about. It was just what I wanted. 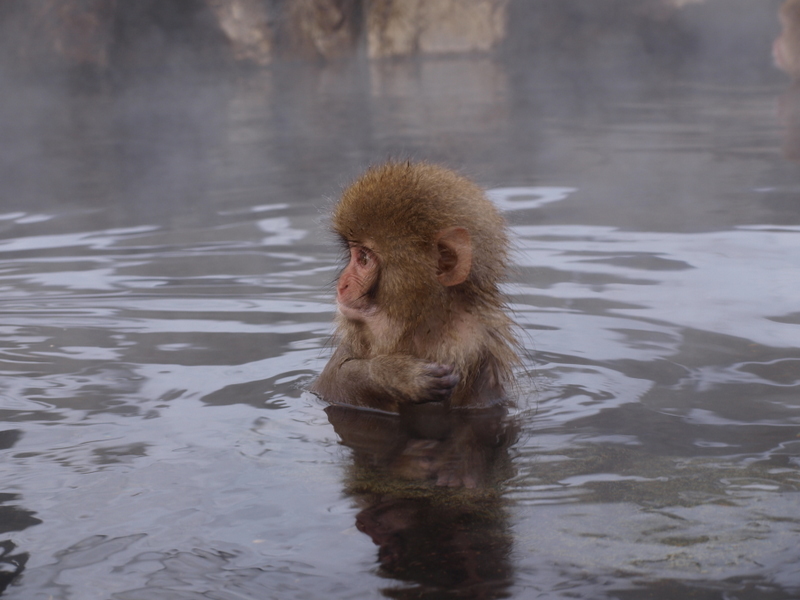 Truth be told the monkey park is hardly a park… it is a pretty small area with only one hot spring. But there seemed to be a lot of monkeys about. When a park dude spread some food out it seemed as if 200 monkeys were there having a bite to eat. I could see how someone might be a little disappointed. The park is relatively tiny. Me, I was enthralled. I spent an hour and a half watching them play and eat and soak. There was a clear hierarchy going on, with the odd scream of one monkey to another followed by one getting out of the pool, or being chased. They seemed oblivious to us watching. Although there was hardly anyone there. At one point it was just be and one other. At times more would turn up, stay for 10 minutes, and then leave. Not sure why… that is a big trek to stay for 10 minutes! So I snapped away. The photos I will post in here are my very quick first pass at what I think are some of the better ones. I will wait until I am home to really sort them out. Oh, of course there was a self portrait. And some kind folk snapped a pic too. So after hanging out for a while it was time to wander back down the path to get a bus back. 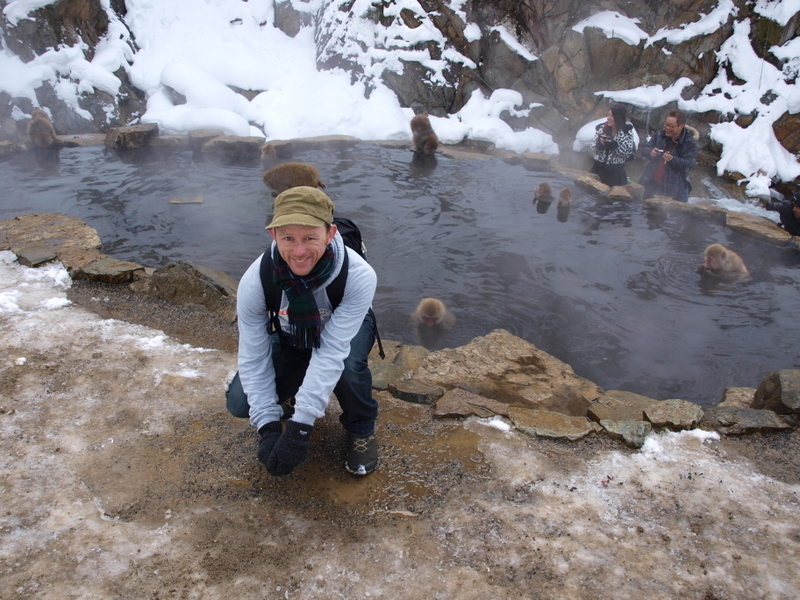 I met 3 other Aussies as I wandered back and we headed to Nagano together. A nice bunch who were skiiing. 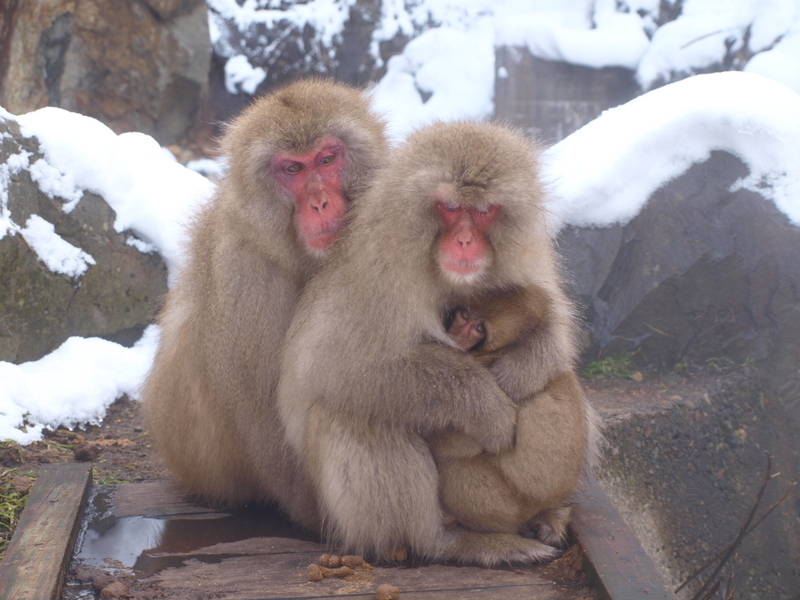 They confirmed that Nozawa Onsen was indeed a place to visit, so that might be on the cards tomorrow. Otherwise I was back into Nagano about 3:30pm or so. I did some wandering, got some food (more gyoza… mmm…) and chilled out for the night. 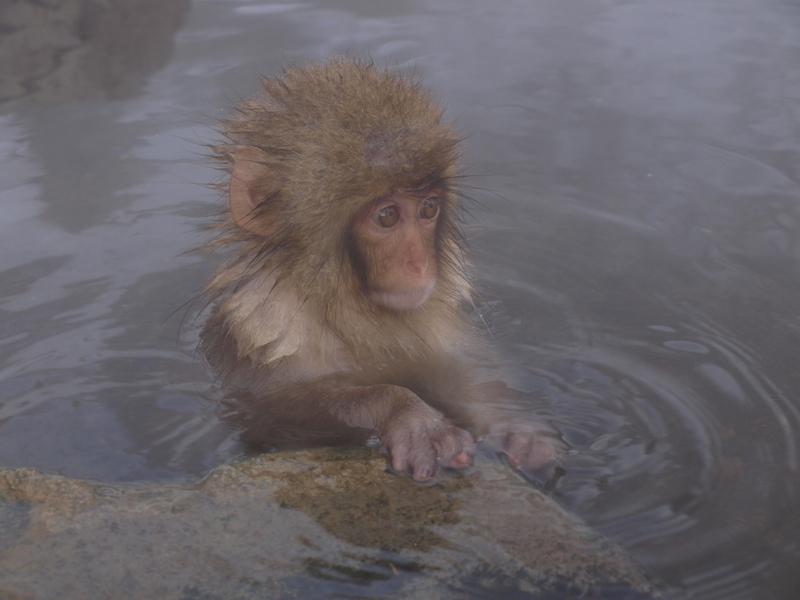 I was very content… I had hung out with the snow monkeys. Oh yeah. Loving following your travels Matt! You have a great ability to tell a story and make us almost feel like we are there! 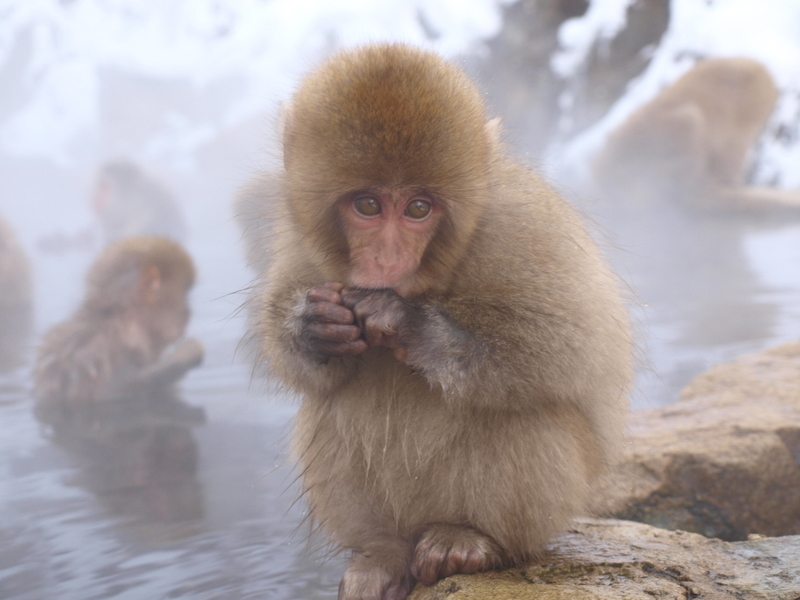 I could just about feel and smell the snow and how cute are the snow monkeys! That’s unreal!!! What an amazing experience! Your pictures transported me from my office to monkey heaven. Thanks for sharing them and uploading so many. I love it. Sounds like all is going well, good stuff! That sounds awesome. 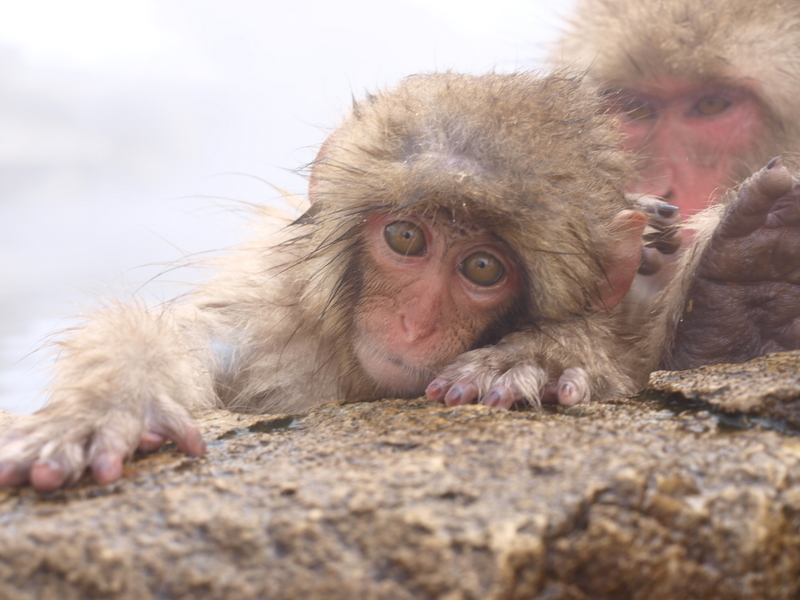 Stunning imagery of those cheeky little monkeys. 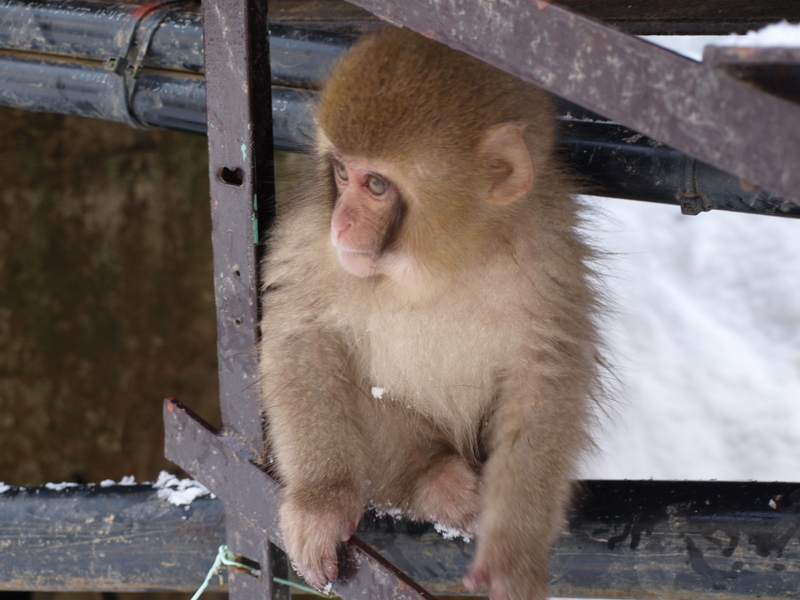 Can you stuff a snow monkey in your bag for me? ?